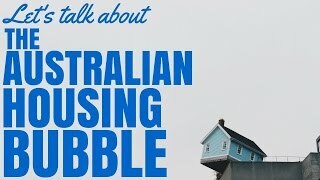 After the recent Sydney/Melbourne boom and some concerning articles it’s time we talk about the Australian housing bubble. Is it real or an over-exaggeration? 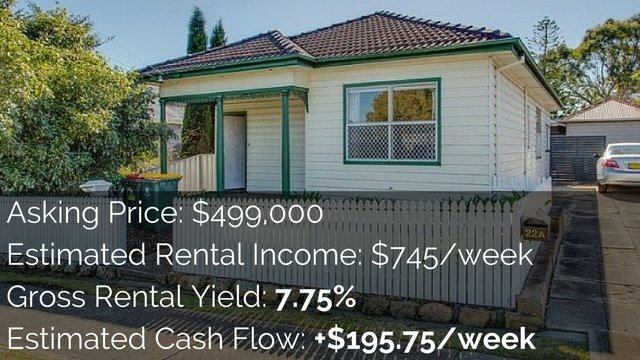 Today, I want to talk about the potential housing bubble in Australia, read a couple of articles with you guys that are talking about this. And then, try to come to an understanding of whether or not there is a housing bubble and some of my thoughts on what I would do in this situation. This came to my attention through an article on the financial review. It got highlighted to me by onthehouse.com.au. They sent me an email about this, but basically, it’s an article by Anne Hyland on afr.com, which is the Australian Financial Review. I’ll link up to it, just go to onproperty.com.au/afrarticle. Yup, let’s do that link and you can check it out there. This was written back in February of 2016. They’re saying that the further west they went, the more irrational they felt. Lots of supply and prices that bore no resemblance to construction cost or the incomes of people around there. There was some interesting things in this article; like they discovered repeatedly that mortgage brokers are advising them to actually lie on the loan application documents about the deposit and about their income. This is quite concerning as I read this and they asked if the bank would call our employers and both reputable and disreputable brokers said they rarely verify pay slips. That’s concerning to see, that the banks aren’t doing that. What else was there? They talked about the residential mortgages as a percentage of total loans and they show Australia where residential mortgages as a percentage of total loans is over 60%. Norway is 40%. Hong Kong is like 15%. The U.S. is like 33%-ish. So, Australia is well above the pack in terms of we got more of our home loans as a percentage of our loans than, basically, any other country out there by the looks of it in this graph. I’m not sure if it’s misleading in they’re leaving out other countries that have similar to us. But they’re also talking about an oversupply of apartments and housing. Talking about that Australian housing apartments are selling for $11,000 a square meter, which is similar to Hong Kong; which is a really expensive area. Manhattan averages around $14,000 a square meter, so they’re saying that obviously, very expensive here. Tepper is warning bluntly that Australia has one of the biggest housing bubbles in history. Noting that the country’s real estate value to GDP is 3.8 times compared to that with Ireland and Japan, which both were at multiples of 3.5 times before they experienced a housing market crash. We’re above the 3.5, which other countries had high real estate value to GDP and then they went and had a crash. Japan’s real estate fell by 80% and Ireland’s fell by 50%. He is predicting falls in the Australian housing market of up to 50% in Sydney and Melbourne and around 80% in mining towns. It’s also showing it has the highest level of household debt to GDP in the entire world. There’s a lot of things that are kind of point toward the Australian market potentially being over-inflated. They also go on to talk about the Ponzi scheme way of investing, they’re calling it. 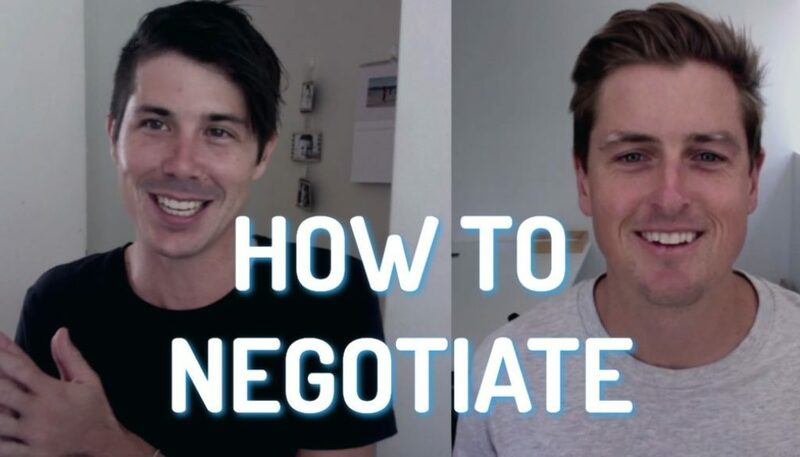 Which is you invest in a property, you then get it quickly revalued so you can draw out equity so you can purchase the next property, get that quickly revalued and move on to the next. So it’s this constant increasing your borrowing so that you can buy more properties, which works great in a market that’s going up and up. But as soon as the market starts going backwards, then it all falls apart really quickly. Tepper says in the research both men encountered many investors who are able to get revaluations on their properties to increase their equity for speculative purposes. A lot of people talk about doing this in Australia; which is they revalue their property, pull out some equity and use it to invest again. However, I think their concern is that people are re-drawing equity, getting huge loans to buy properties that they’re speculating will go up. 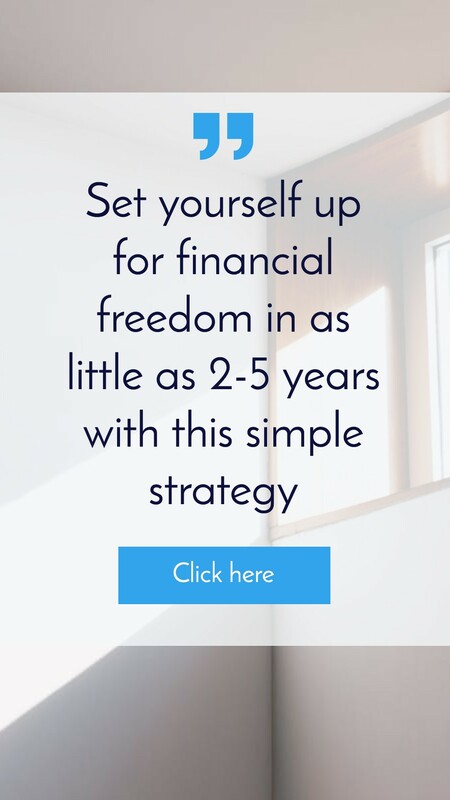 There’s no fundamental financials behind their property investing apart from hoping that the market is going to go up. They’re also talking about how there’s opportunities to take out insurance against a deposit, so you pay insurance and I think they’re talking about lender’s mortgage insurance here, but it’s not 100% clear. Anyway, they are expecting huge drops in the Australian property market of 50% in Sydney, up to 80% in mining towns, and so, that’s of a concern. And then also, there was this article about this article that I read which is about Australia’s property market in slowdown, which is looking at the last quarter and the last month and how median prices have changed. We can see there is a graph here, if you’re watching the video, if not, I’ll talk you through it. Basically, when we’re looking at houses, let’s look at Sydney and Melbourne because they have had such big growth over the last 12 months. Historically, it’s common that the February quarter sees subdued growth that is below the long term average. However, it’s unusual to see a negative result. And quarterly growth in the Australian housing market was -0.04% overall in February. So, 0.04% negative if 1%, it’s not 4% negative, it’s 0.04%. So, basically, stagnant for the housing market there while the unit market drops by 0.32%. This is talking about the decline in the last quarter and then trying to speculate as to whether this is something that’s going to be ongoing or if this is something that is short term. It was interesting to see that Darwin – I’ve met some people who lived in Darwin. They were talking about, when they’re living there, how easy it was to get rentals and that there’s so many rental properties on the market. And so we can see in Darwin, for units, that the last quarter, it’s dropped 5.02% or 7.86% in the last 12 months. And then rents have dropped 9.28% in Darwin and they’re talking about how it’s such a small area and how it could be oversupply. It could be investments into the area have affected it so severely. That, mixed with this financial review article, it’s something that we definitely do need to consider. Is to whether or not the Australian market is in a bubble that is about to burst. Look, it’s something that I don’t really have enough information on to say, “Yes. I definitely think that the market is in a bubble.” but when I look at some of the graphs that they put on here, which is percentage of residential mortgages to total loans – that being really high. As well as the percentage of household debt to gross domestic product or GDP is really high. Annual wage growth hit a record low of 2.2% in the year to December, which is narrowly above the annual inflation rate of 1.7%. It’s likely a higher portion of incomes are going to rent and mortgage repayments, given the exorbitant increase in a large number of dwellings across Australia. So, obviously, Sydney, Melbourne’s gone up dramatically, but wages haven’t gone up in line with that. So they’re saying a larger percentage of wages are now going to go towards paying for these houses. But they’re saying as a result of this, that this is going to slow down spending; which in turn slows down economic activity. This makes a lot sense to me because if you’re all of a sudden paying more money for rent, then you’ve got less money to spend on other things so you become more constricted in your spending. You stop going out, you stop buying those lattes. You stop eating out at expensive restaurants because you’re now paying for your house. So that’s something that I guess will be happening on a large scale across Sydney and Melbourne. And that could affect the economy, could have negative impacts on the economy, which again, just has negative impacts down the line. Looking at this and looking at all this sort of stuff, do I feel super safe in the Australian property market saying that it’s going to continue to grow forever? Look, I look at this and it sounds extreme to say property prices decreasing by 80% or by 50% considering how many dwellings there are, how many people that need to live in Australia. But when I look at this sort of stuff and you look at it compared to the world, you look at it compared to construction cost and how much things cost to build, it does look like there’s definitely potential for a retraction in the market. It doesn’t necessarily mean a bubble’s going to pop and we’re going to lose 50% overnight, but it could mean that the bubble or the balloon is going to deflate. Or as we talked about with Steve McKnight, there are so many different possibilities of the way the market can go. It could stay stagnant, it could grow slightly, it could decrease slightly or there’s the extremes; where it could boom or it could bust. For me, looking at the market now, looking at these articles, I’d be a lot more conservative in the way I was investing. If I was going out there and investing today. You may know I don’t currently own any properties, so it’s easy for me to sit here and to speculate about all of this sort of stuff, but it’s also kind of good because it minimizes my conflict of interest. If I have a property portfolio of 10 properties, then obviously, I want them to go up, so I’m going to look at the ways that the property market’s going to grow, not the potential decline. 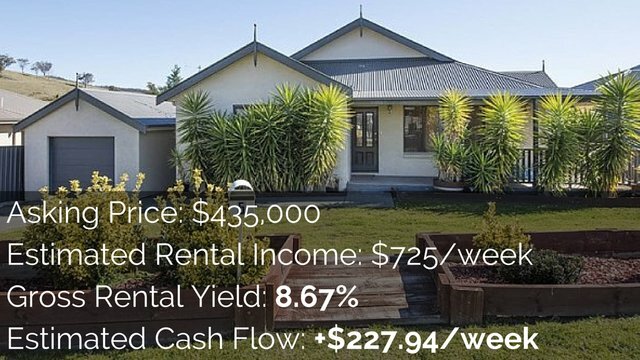 I think if I was entering the property market now, I would be more conservative than I may be would have been a few years ago in terms of borrowing and leveraging to the extreme to buy a property where my only way of making money is capital growth. I think that sounds like a risky strategy to me at the moment if I was going to go into the property market. And this is something that I think people should probably do anyway is that I would treat it like a business. So, the property that I was buying, I’d treat it like a business. Now, I run my own business and the only way for me to increase my income or to make money through the business is by adding value to people’s lives and value that they’re willing to pay for more than what it cost me to create. So, if I entered the property market, I would be trying to do the same thing. Because a lot of people purchase property as an asset to hold that they just hope is going to go up in value while they just sit on it and they don’t actually do anything to it. So they’re not actually adding any value themselves, they’re just holding on to it and the market’s going up in value. So if it was me investing, I would be more conservative. I would be hesitant to invest in negatively geared property, which I am any way. I love positive cash flow properties, so I’d be hesitant to do that. But I would be purchasing something where I could treat it like a business and I could increase the value of it. That may be renovations. That may be a minor renovation, like painting, slightly improving the kitchen bathroom or something like that. It could be major improvements, like subdivision, development, adding an extension on to the property, things like that. So, if I was to invest, I would be more conservative. I would be focused on having a neutral or a positive cash flow. Because that way, if the market does decline, I would hope that rents wouldn’t decline as quickly and so, I’d have a bit of a buffer there. 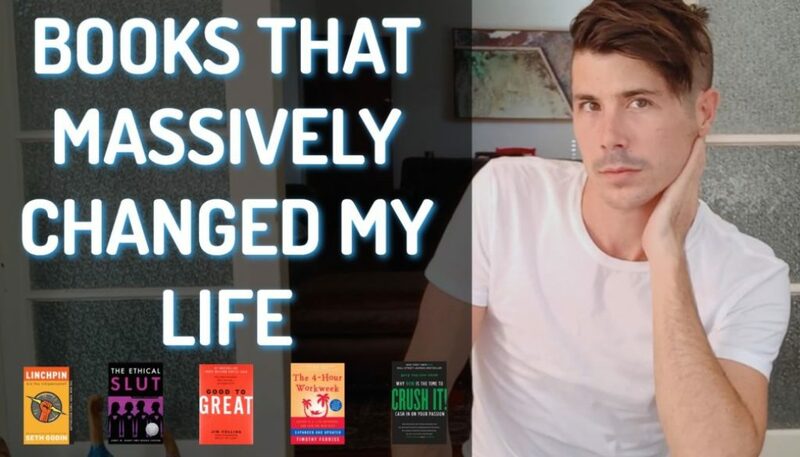 And then I would look at ways that I could create value and create wealth for the market because that way, if the market stays stagnant, I’m making money. If the market goes up, I’m making money. And if the market goes down, I’m improving the value of my property more than what it cost me. So then, hopefully, if I’m losing money, I’m not losing as much money and it would also mean that I could potentially get more rent for that property so that my cash flow position wouldn’t be as bad. I have heard talks about global interest rates going into the negative. Like, rather than you have to pay X amount percent to have currency, it’s more like they pay you to have money. And so, that’s concerning talking about that. I have heard rumors that the interest rates may stay low and things like that. There’s so many factors at work and at play. Australia’s relationship with China, which I think, in this article by onthehouse.com.au, they said somewhere that China is 8% of Australian’s GDP or exports to China or something like that. Let’s see if I can go ahead and find it. Economic performance in China is important. Not only does the nation comprise 15% of global GDP, it’s also Australia’s largest export destination. An analyst on Moody’s March report revealed that approximately 8% of Australia’s GDP is dependent on China’s demand for Australian resources. So if China does pulley, then that can affect Australian exports, which again can affect the Australian economy, which can affect the currency and property market and things like that as well. This is just, I guess, a review. This is me kind of reading these things and mulling it over with you guys. Kind of more of a fireside chat sort of feel rather than me telling you, trying to teach you something. It’s just like trying to assess this. There’s so much big data here. 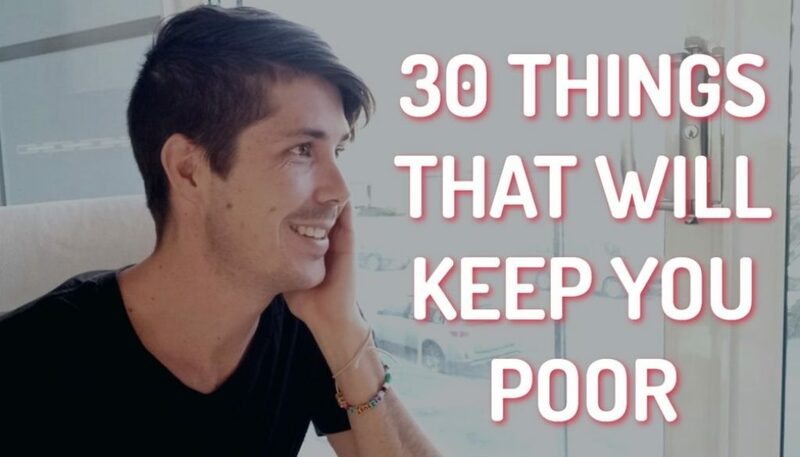 There’s so much stuff that you need to consider. It’s not just the Australian market at play. There’s so many different other things that we’re talking about. Like we’re talking about global economics, economics with China. Steven McKnight was talking about the new tax laws and how negative gearing may be affected and things like that. That may have an effect on the market. We’re talking about people and countries trying to deflate their currency on purpose to improve exports. There’s just so many things that are happening. It’s hard to know exactly what’s going to happen and I definitely can’t sit here and say, “Yes. I think X is going to happen.” because I really have no idea. But I think the way I look at it, hearing these people talk about it, there’s always doomsday people out there, but I have been hearing more doomsday people than previously. And so, yeah, I would just be probably more conservative. I would still be comfortable to invest, but I would be more conservative in my investments. I hope this has been interesting. I hope this has helped you. Go ahead, go to onproperty.com.au/afrarticle to check out that article. You can also check out the article at onthehouse.com.au on Australia’s Property Market in Slowdown. So go to onproperty.com.au/otharticle to read the On The House article. If you want to check those out, you can go through those links and to see those articles. This is definitely something that’s interesting that we need to consider. But that’s it for me for today, guys. Go ahead, mull this over yourself. Read those articles yourself. See what you think and make an educated decision yourself. So until next time, stay positive or try and stay positive because it’s hard to stay positive when people are saying prices are going to drop 50% or 80% in some areas, but, yes, try and stay positive. What Is A Quantity Surveyor? Is Winter A Bad Time To Sell Your Property?